Google Apps? Google Apps are a joke. 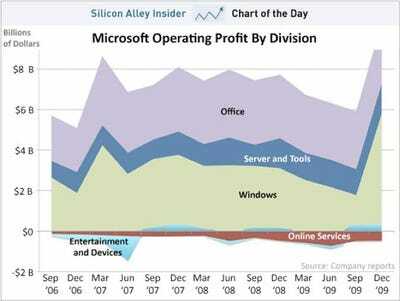 Thus far, Microsoft (MSFT) is doing a good job of holding off Google Apps (GOOG). The demand for Office 2010 appears to be strong, and most companies that spoke to Nick Wingfield of the WSJ for an article about the Apps-Office 2010 clash said they never seriously considered using Google. 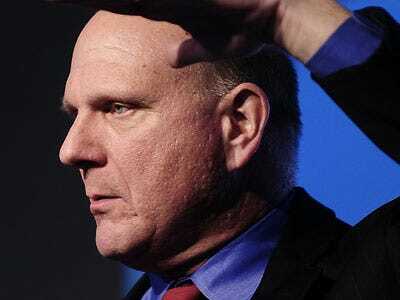 But they did use Google as a threat to negotiate a better deal from Microsoft, which is the first sign of trouble. And the second sign of trouble is that Google Apps now have 50 million users. True, only 1 million of these are paying users. Many of the paying users, moreover, probably pay less than Google’s asking price of $50 a year. So this is still a tiny business for Google — less than $50 million a year on a base of $25 billion. But the size of the revenue contribution to Google should come as no solace to Microsoft. In fact, the cheaper and easier Google Apps are to use, the more of a problem they’ll be for Microsoft over the long haul. And the widespread adoption suggests that they’re quite convenient and easy to use. Disruptive technologies, Clayton Christensen fans will recall, gain their foothold by being adopted by the low end of the market, where they are not as good as the market leader but are cheaper, more convenient, and “good enough.” And Google Apps certainly fit that description for many early users. Google Apps, in other words, still look like a classic disruptive technology. And in their path is a massive Microsoft cash cow, one that accounts for more than half of Microsoft’s profit.Over time, like other disruptive technologies, Google Apps will get better. As they do, they’ll migrate up from the low end of the market toward the middle. Microsoft, meanwhile, will try to protect its most profitable business by adding ever more features to Office. Eventually (already?) the number of features will overshoot the needs of the middle of the market. And as long as Google Apps have become good enough to meet the mid-market’s needs, Google will start to gain major share. So don’t take the puny size of Google’s App business and the fact that big companies aren’t seriously considering Apps as an alternative as a sign that Microsoft is safe. Microsoft isn’t safe. Microsoft is very exposed.